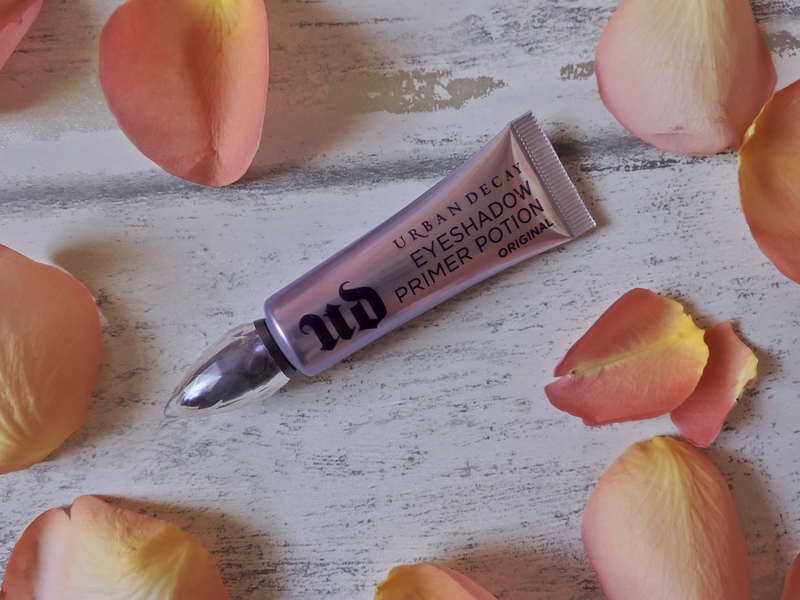 This month for my birthday I received the Urban Decay Eyeshadow Primer Potion. It came with a couple of leaflets about more Urban Decay products. 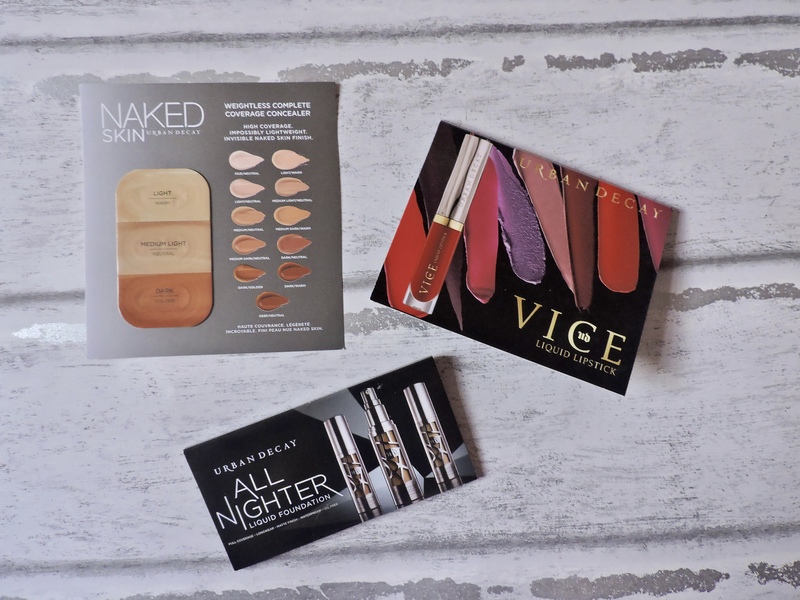 Urban Decay kindly sent me a couple of testers for the Urban Decay All Nighter Foundation. There are 6 eyeshadow primers from Urban Decay, Eden, Minor Skin, Original, Sin, Freebase and Caffeine and I have the Original one. As a coffee addict the caffeine one sounds great, lol. All of the primers offer different things, but the original one was the one that best suited me. I was so happy and excited to be receiving this for my birthday, as eyeshadow is my favourite part of doing my makeup, and using a primer makes your eyeshadow last longer and look better. I have actually used this primer before so I was very ecstatic to have such an amazing primer in my hands. The primer has a jewel like cap and has a ombre imprint on the bottle which makes the packaging simple yet effective. The cap is where my eyes are draw to the most. I love that the packaging isn’t too wild, because the product is incredible, so I feel like it can pull off such a simple packaging. I find it easy to hold as it is thick which means that I can hold it properly. The wand applicator is long and allows you to have a precise application. I APPRECIATE THIS SOOO MUCH!! as I always find that when I am going from eye to eye I accidentally get some on my nose (probably just me) this reduces the chance of that. The consistency is just right for me as it isn’t too thick and tacky but just enough as it needs to be. The coverage of the product is as good as it needs to be, it isn’t too thick on the eye lids which is nice. It comes out a light creamy beige colour and it covers the eye nicely, even so you are able to see where abouts on the eye you have missed application. It blends very well which makes me happy because I don’t like think tacky eyeshadow primers. I blend it just using my finger as you can get right in the corner or your eyes and also along the lower lash line. 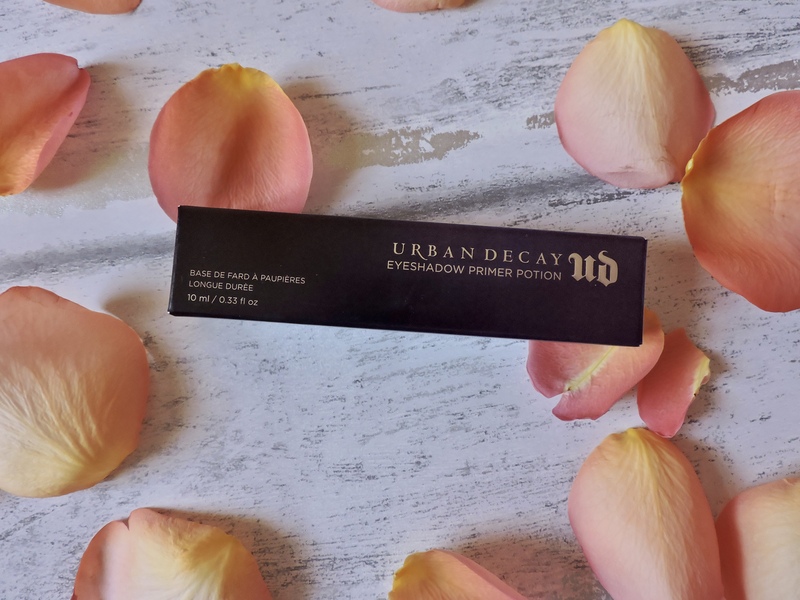 Since using this primer, I have noticed a massive difference regarding how long my eyeshadow lasts. It really lasts all day and is perfect for anybody! Sometimes, I must admit, I do skip the stage of priming my eyes as I feel like it is such an easy step to skip, especially when you can just use concealer. 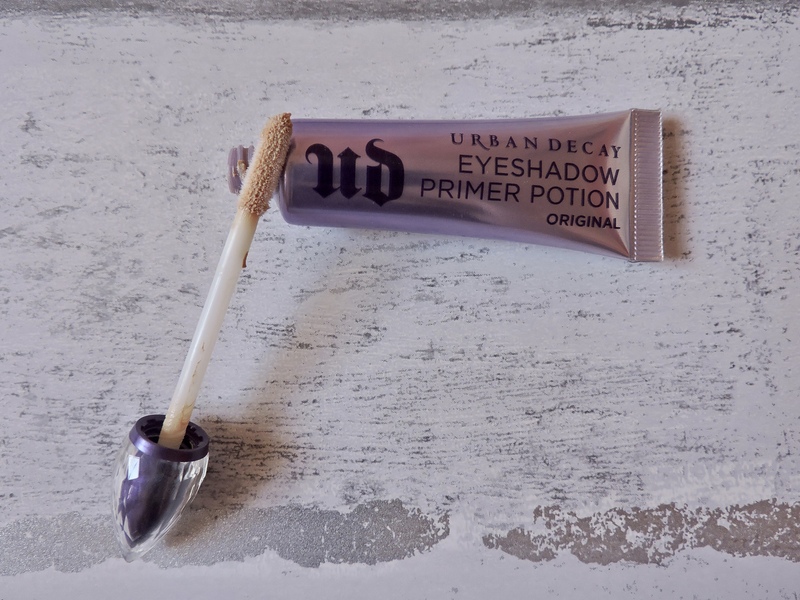 Do you use a primer? If so, what one? Great post! I’ve always wanted to try this but have never followed through…maybe I’ll actually give it a try! I use this primer! I have super oily eyelids so I need to prime or I have no eyeshadow by hour 4. I also use one I bought in Mexico by a brand called Bissu (I think…) that I really love. This primer is amazing! It makes eye shadow past so long. Great post. Nice! I’v never used a primer, but I’ve heard great things about this one. I never realised the importance for neat eye shadow application till I started using primer. My shadow now glides on smoothly and there are no creases. I love Urban Decay. 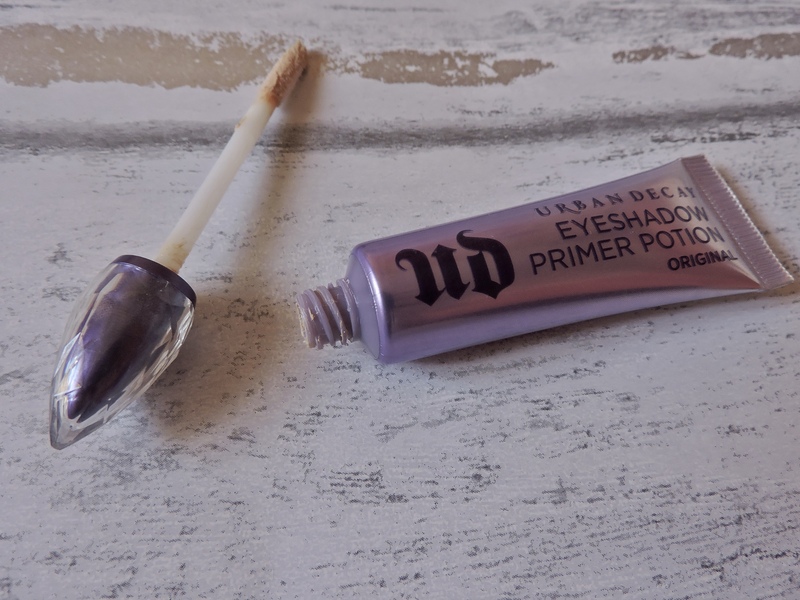 Love Urban Decay and use this primer too.